I have about 1 1/4 inches to go before starting the crown pattern/decreases. Not too bad, but gosh, it’s slow progress! My problem is that this pattern takes so much concentration. My only time to concentrate is when the kids are asleep, and by then I’m usually too tired for involved patterns. 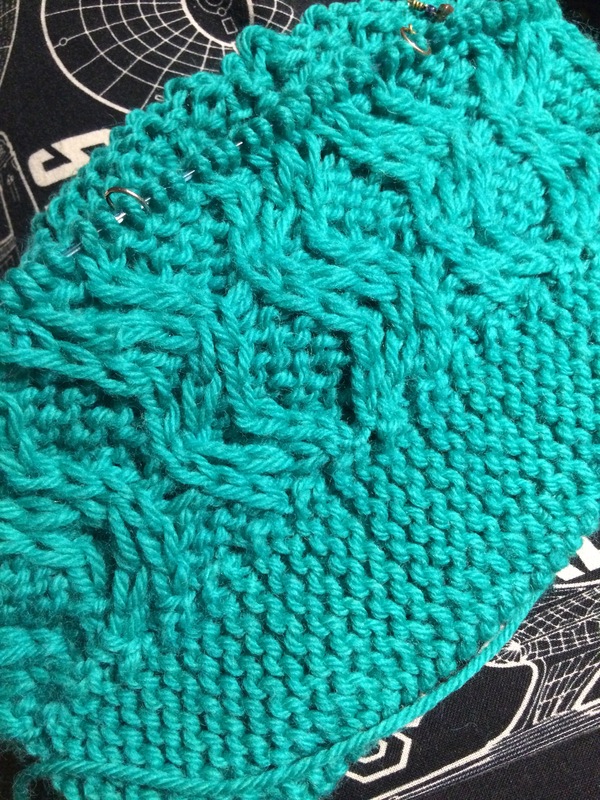 Luckily, now that I’m on the second pattern repeat, it’s going a bit faster.